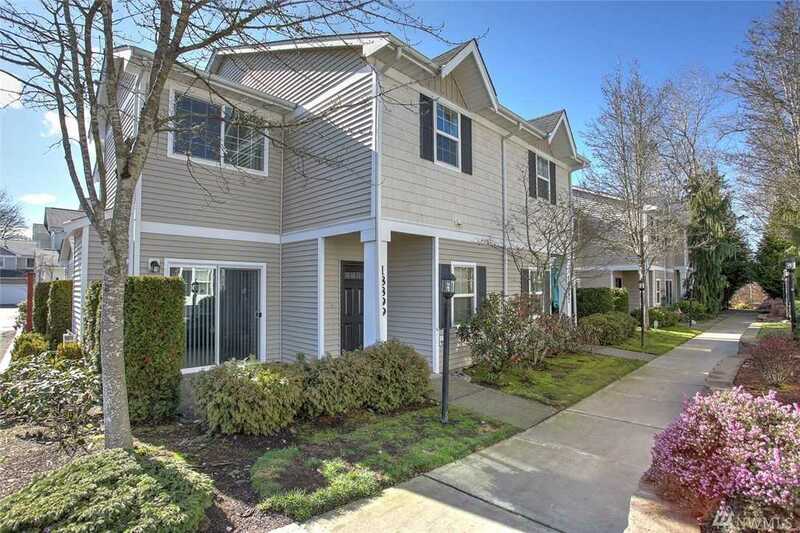 This light and bright spacious corner unit townhome has 2 patios perfect for entertaining. Open concept with tall ceilings makes the unit feel like a stand alone home. Granite countertops, gas appliances and walk in pantry. Laundry on 2nd floor along with 3 bedrooms including large master bedroom/batn. Rare 2 car garage w/ plenty of guest parking at the unit. Secure gated community. Fantastic location. Strong HOA that covers all exterior maintenance and repairs. No rental cap!! Lot Size: 0.04 Acres / 1885 Sq. Ft. Directions:HWY 167, S43rd St SE 179th/Carr Rd. Go East to 108th St. Turn Right to 190th, left to gate. SchoolsClick map icons below to view information for schools near 18899 108th Lane SE Renton, WA 98055.